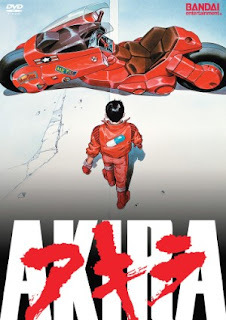 Considered to be a classic by most anime fans, Akira is part futuristic action flick, part sci-fi cautionary tale. Which is not to say that the film attempts to align viewers' moral compasses, but rather that it explores the potential for unforeseen consequences in dabbling in grey areas; more specifically, the hopes of creating a being greater than human (inspiration that would carry over to the likes of Neon Genesis Evangelion and other works that followed in Akira's footsteps). In many ways, Akira feels like an anime equivalent to Aldous Huxley's Brave New World, albeit with super fast motorbikes and rail guns. The story is primarily focused on Kaneda and Tetsuo, two longtime friends who are part of the same biker gang. They spend their days in a run-down school, but take to the streets at night, challenging other biker gangs to deadly high-speed races/fights. Following a crash, Tetsuo finds himself in the custody of a government group who has concerned themselves with tapping into the minds of young individuals in the hopes of finding someone whose attributes would allow Akira to return. While no one is entirely certain as to who or what Akira actually is, there is much talk as it has become something of an urban legend. While Tetsuo is subjected to various tests, Kaneda and company mull over the fact that their friend was taken from them. Upon finding out where Tetsuo is being held, Kaneda hatches a rescue plan, enlisting the aid of a handful of rebels. As the tension builds, so does the bizarre factor. Tetsuo experiences many nightmares that mess with his head, and also learns of the state of similar subjects who came before him - young children whose skin has darkened to a shade of pale green with deep wrinkles set in, as if they aged rapidly. The animation is quite good overall. The opening chase sequence highlights the strongest points of animation, with highly-detailed backdrops of megalopolis Tokyo and zigzag light trails behind the bikes. For the remaining duration of the film, the animation is largely what is to be expected. For a standalone hand-drawn film from 1988, it looks pretty good. The soundtrack is a curious combination of industrial sounds and traditional Japanese music, both of which suit the tone of Akira very well. The moments that lead up to Akira's conclusion are the only points of the film that merit harsh criticism. For a film that does so well to play with viewers' heads at key points, the back story of the real Akira is a tad bland and very direct. It's also tackled in a very quick time frame, and could easily have been expanded upon to add greater shock value for the audience. The very end of the film is also rather abrupt, though taking into consideration the way in which events play out late in the film, the finale is not unjustified. The world that Akira builds is as grotesque and subsequently beautiful as the story it weaves. It oozes classic science fiction in every respect, and to that end sci-fi buffs owe it to themselves to see this film. We now have another trailer for Transformers: Fall of Cybertron. This one provides us not only a look at more of the gameplay and characters in action, but also gives us an idea as to where the story will be heading. At the end of War for Cybertron, the Ark was being constructed and the Autobots were planning to use it to find a new home among the stars. Meanwhile, Megatron was still at large. Assuming all this is in keeping with classic Transformers lore, I can only assume the events that transpire late in Fall of Cybertron will find the war between the Autobots and Decepticons shifting to Earth. The question is, what kind of Earth will this be? Will it be a modern day Earth like the one seen in Generation One and Michael Bay's films, or will it be a pre-human Earth ala Beast Wars? The fourth and final of the heavy hitters from Bioshock Infinite has been revealed, and I have to say, I find it the most interesting concept of the four. I love how Irrational Games decided to tie this enemy class closely with the culture of the time period. The Siren looks melancholy, sad, and somewhat creepy. But her design seems to aim more towards 'haunting' and less toward plain old 'scary'. Again, I'm really excited to check out the Siren and the other heavy hitters come Fall. My only complaint with this trailer is the minimal gameplay footage it provides of the Siren in action. With Resident Evil 6 launching this Fall, I’ve lately found myself spending a fair amount of time revisiting the Mercenaries modes in RE 4 and RE 5. While it was never a big selling point for me when I first picked up Resident Evil 4, Mercenaries mode has become one of my favorite bonus gametypes of any video game I’ve ever played. I love the intense, arcade-style time-sensitive play style, and I feel just about every one of the levels is designed quite well. Admittedly, I’m a bit partial to the characters available in RE 4, though I think as a whole the Mercenaries experience plays out much more smoothly in RE 5. There has been no confirmation as of yet if Resident Evil 6 will include a Mercenaries mode. But if the bonus game types that were included in Revelations and Operation Raccoon City are any indication, I’d say it’s a pretty safe bet that RE 6 will include something similar to Mercenaries mode. So far, the reveal trailer has shown us the three main characters of Resident Evil 6, Leon S. Kennedy, Chris Redfield, and one unnamed newcomer. Assuming Mercenaries mode is included, it’s a pretty obvious conclusion that each of these three will be playable in the aforementioned bonus game type. But who else might be thrown into the fight? 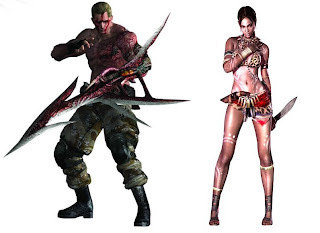 Resident Evil 5 granted players some flexibility with different weapon loadouts and costumes for characters, but for the sake of this list, I’m only going to be focusing on the characters I think could make for strong additions to the Mercenaries roster. 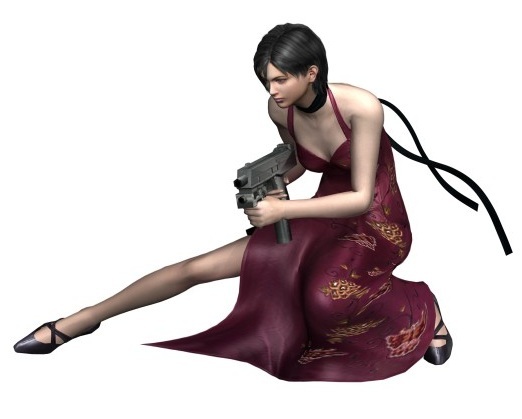 Ada Wong - At the end of Resident Evil 4, Ada took off with the plagas sample to deliver it to Wesker. Now that Wesker is presumed dead following the events of RE 5, I think it’s safe to say that Ada will play some role in RE 6. It’s difficult to guess as to how directly involved with the events of RE 6 Ada will be, but frankly I was a bit surprised her name wasn’t even mentioned in RE 5. 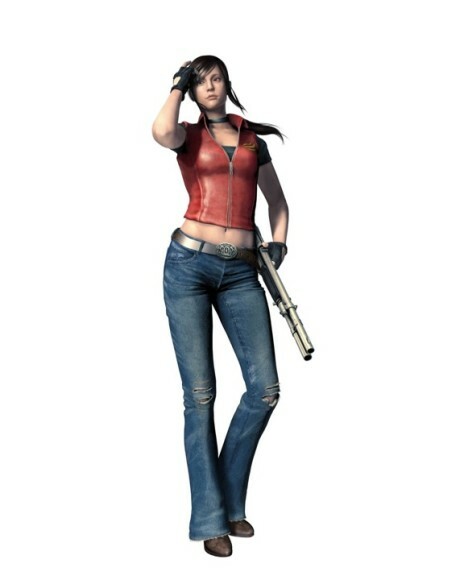 In RE 4’s Mercenaries mode, Ada was fast and agile. She let her stilettos do the talking when it came to close-quarters attacks, and was granted a sniper rifle, TMP, pistol, and incendiary grenades. Ada was a character designed for players who were more concerned with being able to move around quickly and put some distance between themselves and the encroaching hordes of the infected. Why not bring that same style back for RE6 - I mean, if it isn’t broken, don’t fix it, right? Hunk - Probably the most difficult to master from the RE4 Mercenaries lineup, Hunk relied heavily on his TMP and grenades. I think the explosives-oriented character type is one that, when placed in the right hands, can produce some impressive results. I don’t think there needs to be much of a change from Hunk’s RE4 incarnation, though perhaps he could be granted use of a few of the trip mines from RE5. Rebecca Chambers - Rebecca is another character that caters to a very specific crowd. She’s quite heavily stocked up on health supplies, while her default weaponry is rather basic. The approach with Rebecca is one that requires a lot of patience and well-placed shots. But again, she is one of those characters that, when placed in the right hands, can rack up significant combos. Claire Redfield - Capcom has focused largely on three characters as the poster children for the Resident Evil franchise – Leon, Chris, and Jill. Jill’s role has become increasingly prominent through RE5 and Revelations. That said, I think Chris would be at too much of an advantage within the story mode to have Jill at his side the entire time. And it’s been a while since Claire got play time outside of the Chronicles games and most recently Operation Raccoon City. Claire’s inclusion would be in keeping with the likes of Barry Burton in RE5’s The Mercenaries Reunion, and might cater to some of the old-school fans, regardless of what her loadout is.
? - I don’t know which face to put with this last one. In RE4, Krauser was absolute power house for those who knew how to use him properly. 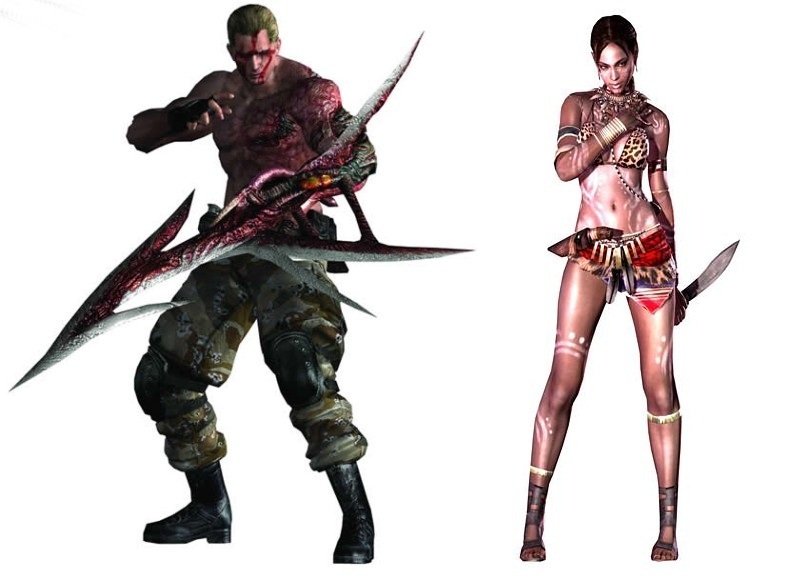 In RE5, Tribal Sheva could prove to be a force to be reckoned with, a bow and grenade launcher in her arsenal. I could care less if their RE6 equivalent is granted use of an actual bow or not. But what I am concerned with a character that is something of a heavy-hitter. Someone whose loadout is limited to one or two weapons, but has one distinct means of attack that can spell imminent destruction for the infected. Now, I do feel the way Krauser was handled in RE4 proved a bit more balanced with the rest of the cast than Tribal Sheva did in RE5. And that has to do with the fact that his mutated red arm can only be used a few times per match. Whether this heavy-hitter’s most noteworthy attack is time-sensitive or activated after a set number of kills have been chained, the more careful planning is required when playing with such a character, the better. Lately, Irrational Games has been teasing the upcoming Bioshock Infinite with a series of behind-the-scenes looks at enemy designs from in the game. I loved the Big Daddies and Splicers from the first two Bioshock games, but Infinite's baddies take creativity and weirdness to a whole different plane. And I love it. The most recent enemy revealed is the Boy of Silence, but you can also check out the Handyman and Motorized Patriot below. There's a number of reasons that Bioshock Infinite is one of the games I am most excited for this year. The enemy designs are only a part of that equation, but they have not failed to impress me yet, so here's to looking forward to more trailers! Litwicks. Litwicks everywhere (in Celestial Tower). If there is one thing that I feel has dragged down the Pokémon White experience thus far, it's the gym battles. Not the battles as a whole; rather, the fact that each gym leader has one Pokémon with a somewhat cheap one-hit-kill move that they tend to spam over and over. In the grand scheme of things, it's a minor complaint. But it's also a significant change from gym battles of previous games, and I can't say it's exactly the best choice. It presents a few roadblocks in what is otherwise the smoothest journey through any region of the Pokémon world. I've come to realize that the types of Pokémon that are in abundance in White version require me to take a much different approach in building my team than Soul Silver did. Frankly, I think that's a good thing, as it forces me to use different combos and attack/defense strategies. I practically never used any ice types in previous gens, but Vanillite is quickly proving to be a valuable member to my team. The other four key members are Samurot, Darmantian, Zebstrika, and Archen. As for the sixth team member, I tend to change it up. I'm planning to test Elgyem's abilities next. I have noticed an increase in the number of battles on the routes between cities and even in areas like Celestial Tower. It is nice of Nintendo to place a nurse every so often, so that you are not forced to spend all of your money on revives and super potions. Some areas prove quite a long haul, with one battle after another forcing your trek to a slow grind. But the experience points you can rack up in the process is well worth it. As a side note, while I do find most of the team Plasma grunts to be pushovers, there are a few that have put up a decent fight - at least, better than Team Rocket's goons ever could. Plus, Team Plasma's theme song is awesome - my second favorite of the 'team themes', next to Team Galactic's. I know the re-release of Jet Set Radio on PSN and XBLA isn't really new news at this point. But I did want to make a point of giving you all a heads-up that I will be downloading this upon its release (and will follow this up with a review). I never played Jet Set Radio when it was out on the Dreamcast, but I'm really intrigued with the whole concept of the game. I love games that dare to be bold and artistically-driven, and I can't wait to see what it's all about come Summer time. Sonic CD has earned something of a cult following over the years. It has quite a reputation behind it from those who played it upon its initial release. 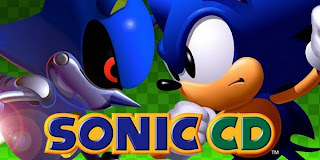 But it is also one of the most difficult-to-find Sonic games, due to the fact that it has seen a very limited number of ports and re-releases since its 1993 debut. Now that it's available on Xbox Live, Sonic fans can experience it themselves for a reasonable 400 Microsoft points. Sonic CD introduced a new mechanic to the series that was pretty groundbreaking for its time. Each level has different gates scattered throughout that will allow the blue hedgehog to travel backwards or forwards in time. 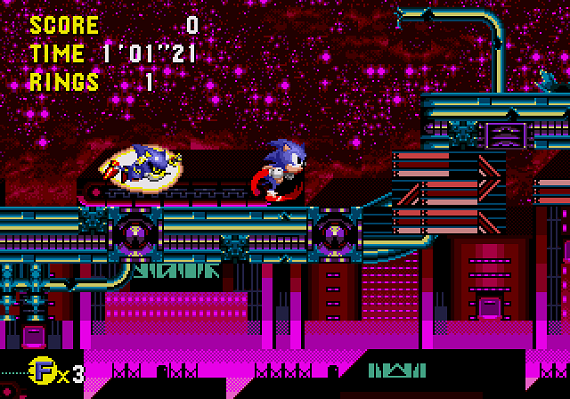 Bonus levels also return, albeit considerably differently than their Sonic 2 incarnations. This time around, Sonic can roam around a 3D plane and destroy floating UFO-like machines. These two elements allow each player to tackle levels differently with each playthrough, and are the key components to creating a 'good future' wherein Robotnik is defeated and the world saved from his mechanical creations. It's a very interesting concept and works well, presenting an extra bit of challenge as players must find an area that will allow them to build up enough speed in order to successfully time travel. The level designs are gorgeous for their day, with plenty of color breathing life into jungle cliffs and underwater mines. Most of the future levels reflect a 'science gone wrong' motif, with lights, wires, and metal in abundance. This XBLA re-release comes with the original Japanese music. The soundtrack sports some kickin' tunes, and is easily one of the best in the entire series. Sonic CD does fall to one shortcoming, and that is the challenge factor. While each level is designed well and presents a consistent increase in difficulty, the same cannot be said for the boss fights. Each of Robotnik's machines is aesthetically creative, there's no doubt about that. But if you've played any of the old school Sonic titles, each of the encounters with Robotnik will be a cake walk. If you're only marginally familiar with the series, they will still prove rather easy. Conversely, the boss fight against Metal Sonic is not only the best in Sonic CD, but among the best in the entire Sonic series. Outside of the main game is time trial mode, which allows players to visit all of the stages and any of the three acts that comprise each of these. It is a nice inclusion for old school fans who enjoy revisiting levels to beat their own high scores. And for a game from 1993, it's an acceptable bonus game mode. For fans of the older entries in the Sonic the Hedgehog series, this one is worth checking out. Everyone has their favorite Pokémon. For some, it is the starter they've been training since they began their journey on Red or Blue version. Others prefer the Legendaries, with a sense of accomplishment in having caught them. And it's not always the move set or attributes that draws players to a specific Pokémon. Sometimes it's as simple as the way a Pokémon looks. Pikachu, Chikorita, and Totodile are just plain cute. 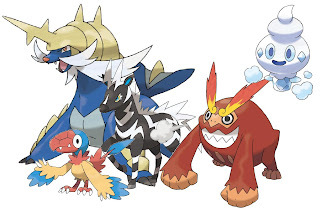 Entei, Mewtwo, and Zekrom come across as intimidating due to their awesome designs. 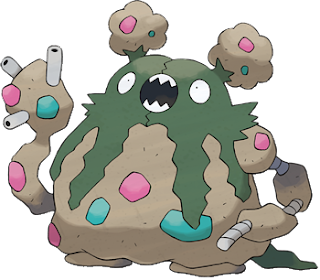 But there are some Pokémon, however few and far between, that are downright ugly. #5 - Pinsir: I always viewed Pinsir as something of an alternative to Scizor. Whereas Scizor was sleek, shiny green, and had his blades attached to his arms, Pinsir was stout, a solid brown, and had pincers sprouting from the top of his skull. 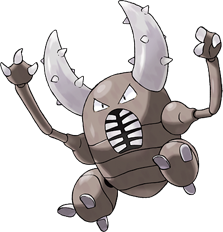 Pinsir looks like an insect version of Mr. Potato Head, and apparently somebody decided to put his body parts in the wrong spots. His mouth is also rather eerie - no living thing should have teeth that grow horizontal like a rib cage. 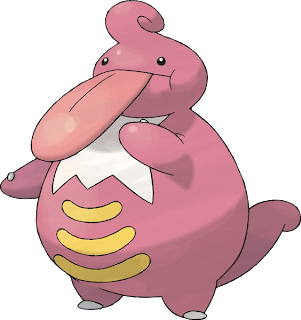 #4 - Lickilicky: There are a few Pokémon over the years that have been treated to an unnecessary next stage of evolution. Lickitung is one such Pokémon. He was certainly odd when compared to the rest of Gen I, but I always felt he stood fine on his own. It was a bit challenging to ascribe a particular theme to him, and apparently Nintendo felt the same way. So what did they decide to do? Inflate him until he was barely recognizable. Lickilicky might want to give Wilford Brimley a call. 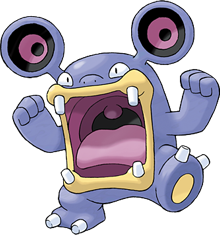 #3 - Loudred: Loudred is part of an evolutionary line whose theme is sound. So the fact that his mouth makes up the majority of his face, and subsequently the majority of his body, is kind of a fun play on that concept. But he's certainly not the prettiest Pokémon in the tall grass. His teeth appear infantile, his ears like speakers, and as a whole he looks like an ugly alien toddler. 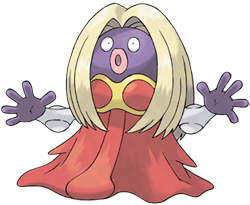 #2 - Jynx: I've never really been sure of what to make of Jynx. She kind of creeped me when I was a kid, the only Pokémon I thought I was scary-looking without really needing to be. Yes, Gengar is certainly a creepy looking Gen I Pokémon, but that's deliberate - he's a ghost. I think Jynx was supposed to resemble an opera singer (a bit odd, since Jigglypuff was the one frequently singing in the anime). But the small eyes and the giant lips lead her to resemble some sort of bizarre mock-up of a human - like a caricature. A really creepy caricature. Or a demonic transvestite. Take your pick. #1 - Garbodor: I know some people rip on the Gen IV and V designs because the physical appearances of many of those Pokémon look very far-removed from the original one-hundred and fifty. To be honest, I like the way most of the newcomers to Black and White look. But dang, Garbodor is hideous. I mean, he is meant to look like a bunch of garbage, and to that end I feel the artists did a wonderful job in maintaining a consistent evolutionary theme. This pile of trash evolves from the weird sort-cute, sorta-awkward-to-look-at Trubbish. But I can't imagine there are many people who look at Garbodor without thinking he's ugly in just about every sense of the word. What's my next 'top five' list? I'm going to be doing a monthly 'top five' list from now until December, and I'm leaving it up to you as to what the top five list for March is going to be. While Lost in Nightmares focused heavily on the classic horror aspects of Resident Evil, Desperate Escape does the opposite, presenting a short side story brimming with the tense action that Resident Evil 5 is so frequently noted for. It's also a considerably shorter DLC package. Whereas Lost in Nightmares had a slow pacing centered around solving puzzles and defeating a few particularly strong enemies for more than an hour, Desperate Escape runs for approximately forty-five minutes (depending on the difficulty setting). The story picks up with Sheva's longtime friend Josh Stone finding Jill Valentine not long after she was rescued from Wesker's control device. Jill has some valuable information for Chris regarding Wesker, while Josh has a contact with a helicopter that can provide them a lift out of the area, which is crawling with Majini. The two will have to fight their way through the plagas-infested horde to get to safety, and each area layers on to the presentation of an uphill battle (both figuratively and literally). Despite the sizeable number of Majini that appear in Desperate Escape, this feat is quite easy. Only a few sections present noteworthy difficulty, adding turrets and a handful of the stronger Majini into the mix. This DLC is entirely devoid of any puzzle elements. Any keys players need to acquire will be placed immediately preceding the door they unlock. However, certain gates are barred shut and players will need to temporarily leave their partner behind to unlock them. But only one of these is presented at a particularly tense moment, leaving the rest to seem somewhat trivial. The element of challenge best represented in Desperate Escape is supply management. Players will need to determine who gets what weapon, and what ammo they are going to use as there is not an abundance of health or ammo throughout. A new character named Doug is introduced early on, a friend and colleague of Josh's. He serves primarily as a plot point, being the pilot of the helicopter that is en route to pick up the two lead characters. Near the end of the DLC, Capcom tries to draw some emotional connection between Doug and the player, which ultimately falls flat due to the fact that the experience is so short. Desperate Escape is an interesting experiment on Capcom's part. In many ways, the tense atmosphere of this DLC is reminiscent of The Mercenaries mini-game. But as a side-story to Resident Evil 5, it is significantly lacking in a few areas. The whole scenario presents an adrenaline rush, but not a single scary moment. It's also not that difficult, though Capcom might have been able to mask the lack of a challenge by including quick-time cutscenes - again, these are entirely absent, though there are a few segments that practically beg for them to have been incorporated. Given the fact that Josh and Jill's run to safety is territory that was more familiar to fans of Resident Evil 5 than the incident at the Spencer Estate prior to the release of the DLC, Capcom did a decent job. But it is just that - a decent job; nothing outstanding here.